The Eastern Highlands form the last big section of hills to be climbed during my Munro round and were started in May 2014. 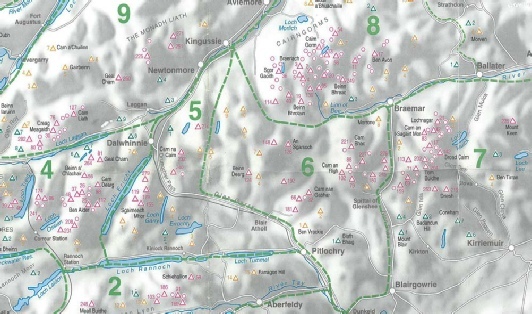 The area covered ranges from the eastern edge of the Nevis Range with the mountains to the south and north of the Loch Laggan then moving further west into the Alder Forest and beyond into Lochnagar and the Cairngorms. The mountains are big but gradients tend to be gently with great rolling hogs backs. I followed Steve Fallon’s very efficient routes and have now completed most of the peaks within about two weeks of walking. 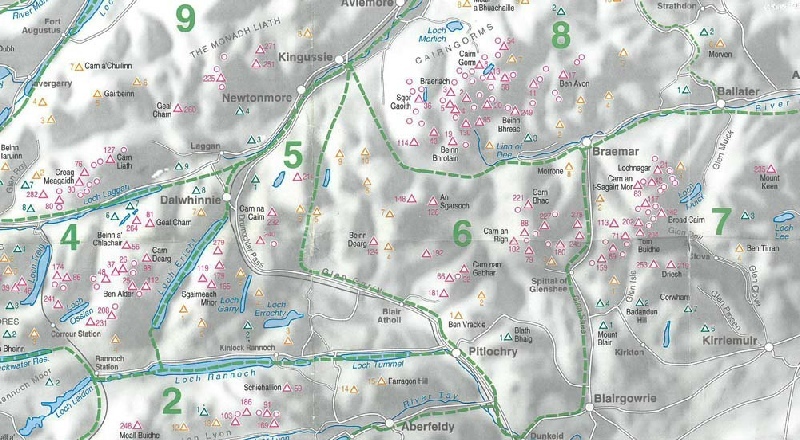 All that remain are 5 Munros around Blair Atholl and then a few straggler Munros in the Southern Highlands and on Skye with Ben More on Mull being left to the last.